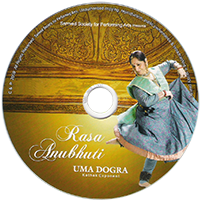 Uma Dogra, a leading Kathak exponent, is one of the most powerful and compelling dancers of India. Honoured as Pandita , Uma Dogra is the senior-most Ganda Bandh Shahgird of Late Pt. Durga Lal ji the legendary kathak Maestro of Jaipur Gharana. Uma Dogra has been enthralling audiences all over India and abroad for more than 45 years now. 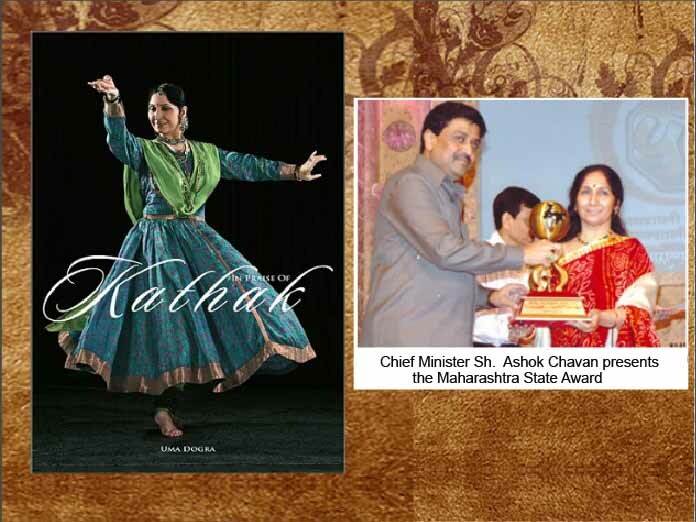 For her great contribution as a dancer, teacher and choreographer she has been conferred with many Prestigious awards. 2. 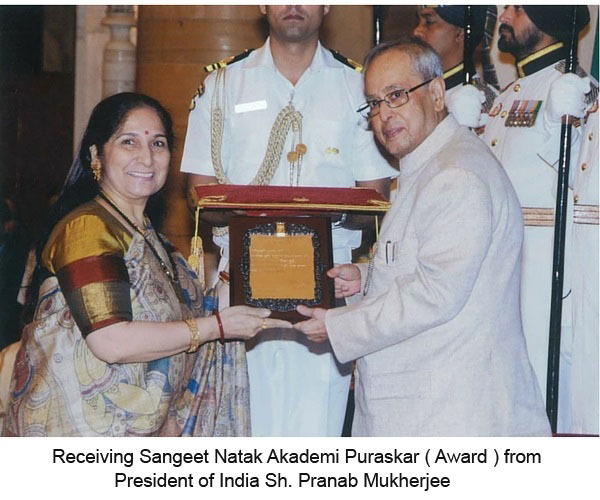 ‘Maharashtra Sanskriti State Award’ in 2009 by Govt. of Maharashtra. 3. ‘Honorary membership of Min-on Concert Association Japan’ for spreading Peace and culture through her Dance 2008. Uma Dogra, a big name in the field of art, was here to give surprise to the people of Jammu with her splendid performance. I, sitting at the feet of my goddess, beseech her to allow the sound of ghungroos to forever resound in your feet – and to always fill your soul with unforgettable inspiration. Mother bless Uma ... with undying prayers. . .
Uma Dogra performed various dance pieces , her portrayal of Hori “Na Maro Shyam Pichkari” enthralled the audience and left them spell bound. The intensity of personal feelings and the conspicuous abhinaya ang in Uma Dogra’s dance recital inundated the stage with tender human and artistic emotions which made today’s programme unique experience. 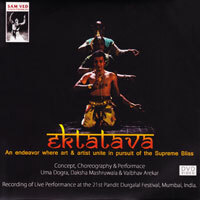 A live performance by Uma Dogra. A film on Pt. Durgalal.